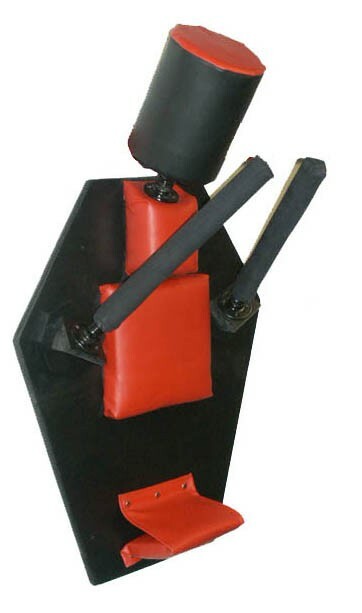 The Hitman has multiple stiking targets as well as functions. Starting from the top. The 10 inch vinyl padded head has a spring neck simulating the action of a human head. The head is mounted on top of a vinyl padded throat target ideal for finger jabbing. Next you have a 11 X 11 inch vinyl chest striking pad, which sits between the to canvas covered padded arms. 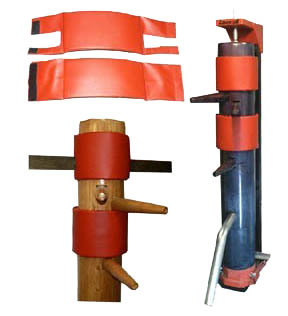 The arms are also mounted on springs, and can be repositioned or relocated on the back board to users liking. Arms can also be removed for unobstructed head kicking. 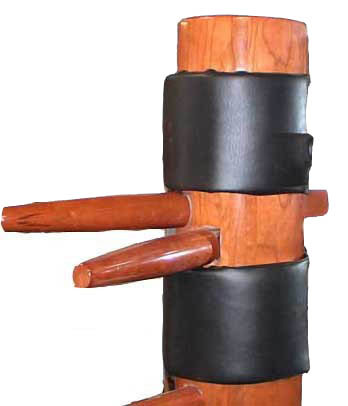 The collapsable groin target is ideal for snap kicks to the groin, as well as knees to the groin due to the collapsable design.